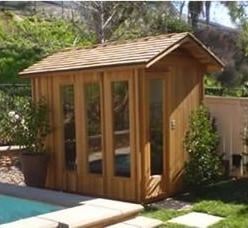 Finlandia saunas and heaters can be found at a variety of online and brick and mortar stores. 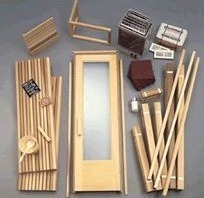 Their popularity is in part due to their reasonable cost and reliable construction. Keep in mind, however, that the most popular Finlandia models have to be assembled by you. 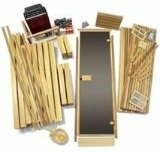 This isn't as challenging as it sounds, as Finlandia's pre-built sauna kits contain everything you need to put together the pre-fabricated wall panels and properly install everything from the electrical wiring to the doors. The walls of these saunas are rather unique - they come pre-fabricated with red cedar for the interior and your choice of either cedar or mahogany plywood for the exterior. Finlandia even puts a thick layer of insulation between the inside and outside walls in order to help your sauna retain heat more efficiently. They also pre-install conduit within the walls so that running electrical cable is easy and effortless. If you're considering a pre-fab or pre-cut sauna, Finlandia saunas make it easy, but be sure to confirm whether your sauna has a waterproof floor or not. Some models include this feature, but most of them have to be installed on a concrete pad, vinyl flooring, or ceramic tiles that are waterproof. 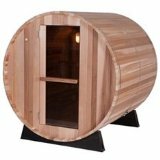 If you aren't the do-it-yourself type, you can also order saunas from Finlandia made to your specifications and delivered assembled, but these can be pricey. These saunas include everything you need, from attractive, wood water buckets to stainless steel elements for longevity and safety. One of the best features in Finlandia products is the heaters. They are manufactured to exacting standards and meet or surpass all government regulations. 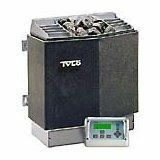 You'll enjoy the soft, even heat and appreciate the excellent warranty on the heaters, which are some of the finest in the industry. The three wall construction of the heaters also means cooler surface temps, so there's no need to worry about safety. The unusually large surface for rocks on Finlandia heaters also assure you'll get even heating and a good airflow. Retailers who carry Finlandia also carry a complete lineup of sauna accessories such as thermometers, birch leaf products for a more authentic sauna experience, and wonderful aromatherapy oils you can add to your water bucket. These essential oils add a lovely aroma to the air when you splash the oil infused water over hot rocks, creating a particularly nice ambience. Finlandia headrests, sauna pillows, decorative lighting and other options all work seamlessly with Finlandia saunas. Finlandia doesn't make anything but saunas and they've been manufacturing them since 1964. 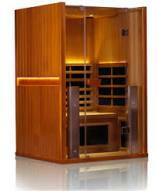 They are some of the most reliable, attractive in home saunas you can get at prices that are reasonable rather than cost prohibitive. If you're looking for a luxury sauna, you may want to look elsewhere, but if you want an attractive, reliable sauna for your family and friends, Finlandia saunas are some of the best in the industry.